Destiny 2's second-year refresh caps off a troubled first year by fixing most of players' longstanding complaints with the end-game and multiplayer. There are numerous ways to judge a Destiny 2 expansion, but I’ve found it’s easiest to count the days I kept playing. After Curse of Osiris, I stuck around for about two weeks. After Warmind, it was about two days. But Forsaken? It’s been the better part of a month now, and I don’t see myself quitting anytime soon. I doubted it was possible, but Bungie’s turned Destiny 2 into the hobbyist game people wanted. Does that mean you owe it another shot? Absolutely not. 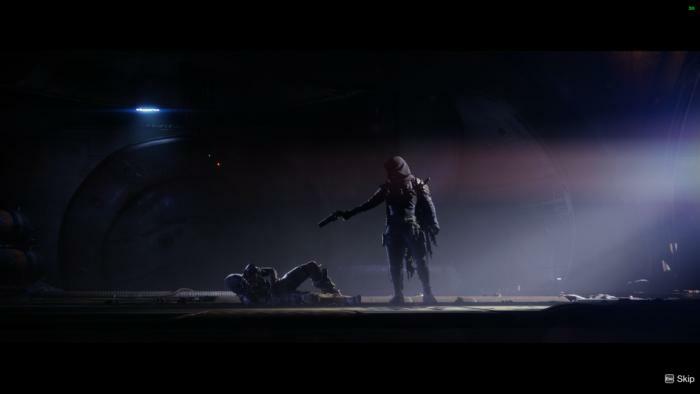 But if you’ve been looking for a reason to revisit the Tower, Forsaken’s a compelling one. I’ve already written at length about Forsaken, and I don’t want to duplicate that work too much. Suffice it to say: The campaign is really damn good. It never elevates above the level of science fiction pulp, but it’s compelling pulp nevertheless. Your pursuit of Uldren Sov and his eight Barons, a quest for vengeance (or maybe justice) for Cayde-6’s murder, is the tightest story told so far in Destiny 2. Forsaken marries Bungie’s knack for large-scale space opera with a small-scale story that has real stakes and decent emotional weight. And as I wrote earlier this month, the Barons themselves are the key. Villains have been a real problem for Destiny 2 to date, poorly motivated or poorly explained or just simply bland. 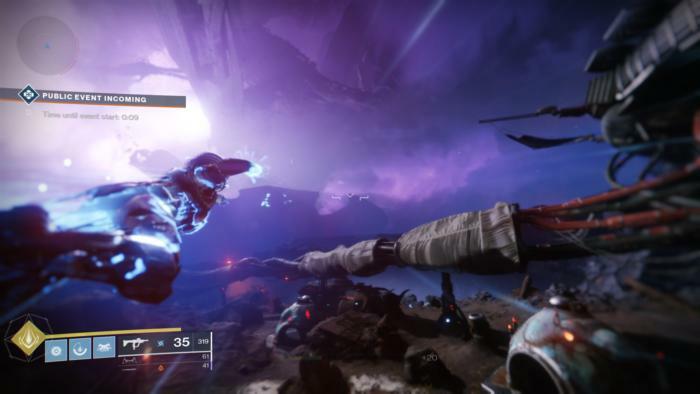 It’s hard to believe the Barons are part of the same game that gave us Nokris, Herald of Xol—an enemy who, despite his grandiose name, came and went without any acclaim at all. Sure, Nokris had a rich backstory if you went looking. Check out his entry on Destinypedia. Again, Bungie is great at world-building. There’s mountains of lore for the dedicated few to piece together. Destiny 2’s problem, in its first year, has been conveying that information to your average player as they storm through the campaign. Forsaken’s revenge tale is simple, but the Barons are rich with personality. It comes through in their character designs, via the looming Hangman or the spindly Rifleman. It comes through in their monologues, as in the case of The Fanatic. It comes through in the varied boss encounters, from The Rider’s vehicle-based segment to The Mindbender’s obsession with the Hive. It makes for an engaging time. Every mission is markedly different from its predecessor, which is a feat for a game that’s mostly “Go here and shoot everything.” And Forsaken ends on a high note too, the story culminating in some fantastic cinematics and one of the most jaw-dropping locales I’ve seen in any shooter. Like, ever. I’m loathe to even spoil it. Why? Because that second locale, which doubles as Forsaken’s second patrol zone, represents what I love most about this expansion: Secrets. It’s not that you can’t find this information online. Of course you can. 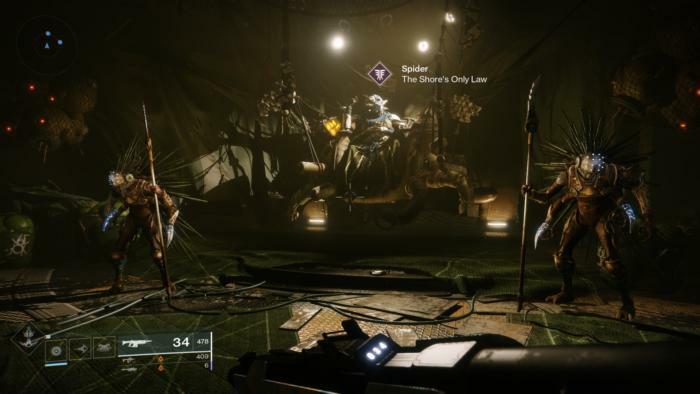 You can go learn what Forsaken’s second patrol zone is right now, and also read a hundred Reddit threads where people lay out everything that’s in store for you, all the “right” steps to take to solve such-and-such problem. But for the first time in Destiny 2, there’s a sense of wonder. I remember complaining when the game released last year: “There are all these hallways off to the side, but you go down them and there’s nothing there. There’s never anything to find.” Forsaken fixes that. There are mysteries to discover! Sometimes it’s small mysteries, like a lore drop to read through. Other times it’s a Lost Sector that doubles as a Fallen nightclub. Sometimes it’s...a cat. This started before Forsaken, of course. 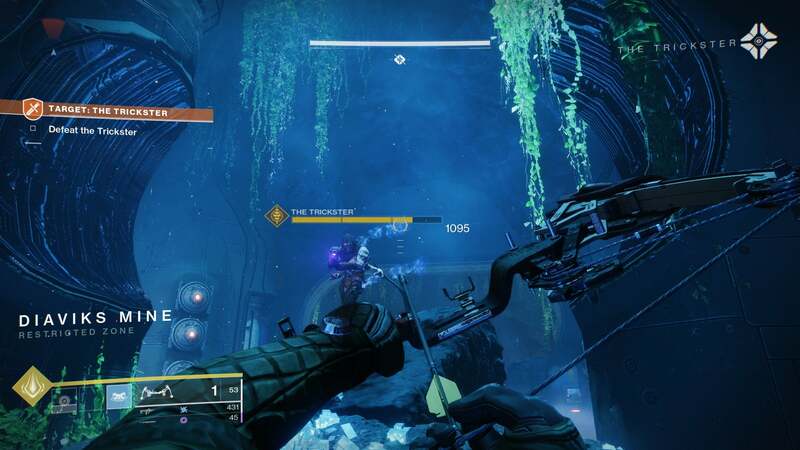 For instance, in July players discovered a mission that only triggered during a specific activity on Io, and which rewarded the “Whisper of the Worm” sniper rifle at the end. Cool, right? Forsaken makes those moments a central focus though, and nowhere is it more evident than that second patrol zone. Even after a week there, I still feel like there’s more to see. And I’m curious where Bungie goes with it, too. 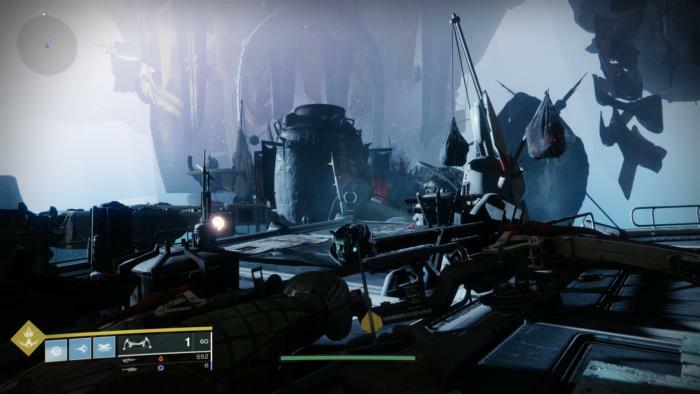 After the first team completed the raid September 14, Bungie updated this second patrol zone—mostly cosmetic changes, but there’s potential for more significant differences as time goes on. That could be fascinating indeed, an entire region that shifts over the course of weeks or months, adds new areas to explore and riddles to solve. It’s the type of MMO-centric feature Bungie seemed reticent to dabble in at release, and for good reason. A lot of work goes into those sorts of updates, and only a core group of fans will log in enough to even notice. I think Destiny 2’s first year proved Bungie can’t maintain its middle-of-the-road stance though. It either needs to accept it’s not an MMO, and thus also accept that most of the player-base will stop playing after a month. Or alternatively, it is an MMO and has to start updating like one. Forsaken seems, at least for now, like an inclination towards that latter road—but we’ll see. Six months should give us a much better idea where Destiny 2 is headed I think, with the tumultuous first year safely behind. Maybe we’ll know as soon as the next expansion hits. In any case, Forsaken is more than enough to sustain a daily Destiny 2 habit. It helps that there are now actual rewards for logging in daily, “Powerful Gear” being rewarded after (for instance) completing your first Crucible match of the day or a Heroic Adventure. The grind no longer devolves into finishing your tasks each Tuesday and then waiting for the next week’s reset. Crucible is also a much better multiplayer experience than it was at release. The new weapon loadouts are partially responsible, with shotguns especially prevalent at the moment. It’s a welcome shakeup, though with none of the maps or modes designed for unlimited shotgun usage it can also be a bit frustrating at times. Still, I’m having a much better time than I was at release. 6-versus-6 is a lot more action-packed, and the TTK (or time-to-kill) feels shorter and a lot snappier as a result. Firefights are a lot deadlier. I’ve spent most of my time with Gambit though, the hybrid co-op/versus mode Bungie showed off at E3. 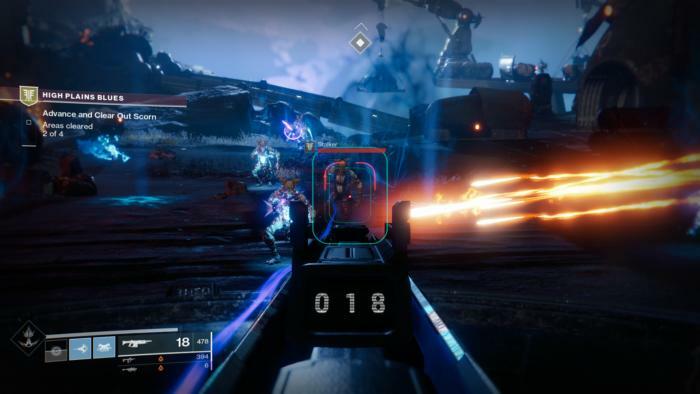 In Gambit, two teams of six try to kill a certain number of computer-controlled enemies while also fending off invasions from the other team looking to stop them. It’s genius. 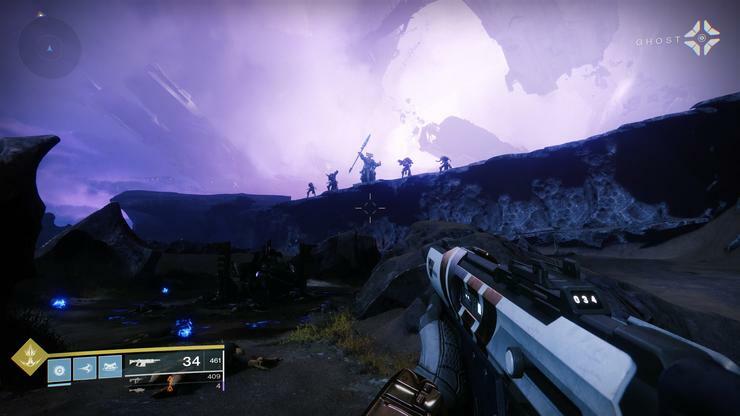 For years Bungie was known for the creative modes it packed into the Halo series, and Gambit feels like the first proper continuation of that in Destiny 2. Only here, where the line between co-op and multiplayer is already blurry, could you take the two traditional multiplayer hoppers of Horde Mode and Team Deathmatch and mash them together in a way that makes sense. And there’s more I admittedly haven’t seen yet, like the entire raid. Sure, it released September 14, but with the first encounter pegged to an equipment level of 560...well, I’m a ways off at around 520. Maybe weeks away, at my current rate. That’s a good thing. Not only is the grind simply longer than it’s ever been in Destiny 2, but there’s still end-game content for me to discover weeks and even months after release. It feels like Bungie paced Forsaken much better than Destiny 2’s previous iterations, even the base game. Whether I’ll still want to keep playing once the grind’s finally finished? Hard to say. It’s always hard to say, and I sure do love watching those numbers go up. That said, there’s a lot here—and perhaps even more as time goes on, thanks to that second patrol zone. I see Bungie’s promising to update it every three weeks, so I guess we’ll know soon whether those updates are substantial enough to maintain interest. Anyway, no, you don’t owe Bungie a second chance. Maybe you’re part of the “Fool me once, go to hell” crowd, in which case fair enough. Or maybe you felt fooled by the first Destiny, and this second iteration repeating the same mistakes was too much for you. Again, fair enough. Destiny 2: Forsaken is a fantastic effort to salvage a game I thought might be beyond salvage, though. It fixes most of my complaints from year one, both big and small. Forsaken’s writing is better, its multiplayer is better, just about everything is substantially improved over last year. Is there more work to be done? Sure, and work to sustain this momentum. But at least I'm not immediately disappointed, and I'm enjoying uncovering Forsaken's secrets as much as the actual shooting. My biggest complaint: You need to own the Year One expansions (Curse of Osiris and Warmind) in order to play Forsaken. Given the lackluster response to those add-ons...well, let’s just say if I were Bungie I would’ve probably packed those in with every Forsaken purchase, not just the higher-priced "Collection." It’s hard enough to convince people to buy a Ferrari without also mandating they spend an extra $20 for the rusted-out trailer you bolted to the bumper.